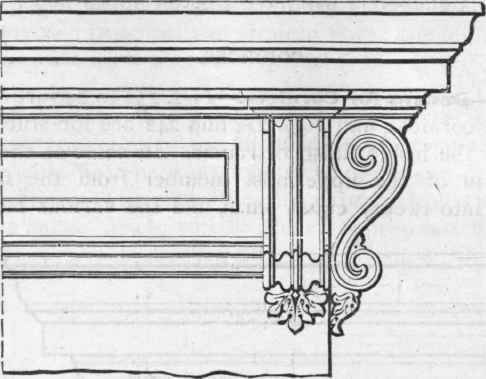 “Laura raised her head and looked through the architrave.” architrave: “the lowest division of an entablature resting in classical architecture immediately on the capital of the column; or the molding around a rectangular opening (as a door).” So she looked… through the doorway? “Every compliment Simon collected seemed to bespatter Christopher’s own achievements with ordure.” ordure: “excrement; or something that is morally degrading.” Mmmm, a fancy word for poo. “Gilt mirrors, brocade curtains and benighted oil paintings, yards of intricately patterned carpet, chandeliers and classical figures on columns, deeper an deeper, the rooms went on and on.” benighted: “existing in a state of intellectual, moral, or social darkness.” So the oil paintings are… not very good? “The trees became monochrome as an eldritch dusk intensified.” eldritch: “weird, eerie.” Indeed! that’s quite a list & certainly provides flavor of the book; it’s pretty extreme when the definition itself includes challenging words! 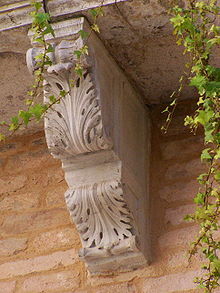 can you find the corbels in our house? The thing that I found striking about all the examples you gave is that, in every case, it was possible to understand the point being made without running for the dictionary every five minutes. It’s great when fiction leads us to learn new words, but that can easily turn into the writer just showing off, rather than bringing the reader along. Thank you for that excellent point, Anthony! Showing off is not welcome; and nobody benefits if you’ve inserted harder words without gaining anything along the way. I like to learn new words. But… not always in my pleasure reading.